Located in one of Noosa Water's most desirable cul-de sacs containing 7 houses, this impressive home provides for the perfect Noosa lifestyle & will accommodate a growing family or those seeking single level living. Ideal for retirees or your private holiday home in the heart of Noosa, offering low maintenance gardens & secure entry in a coveted neighbourhood. Figurehead Court is the peaceful residential enclave surrounded by waterways, parks & only minutes from the cosmopolitan restaurant & shopping precinct of the Noosaville riverfront. The home is set well back on 997m2 in a secure private retreat of lush gardens. Location of the house & driveway provide room for a caravan, boat & trailer. The property was renovated & modernized in 2016 & boasts protection from the summer heat with a cooling tropical canopy provided by established gardens. The airy open plan north facing living area soaks up the winter sun & captures cooling breezes. A welcoming entry guides you to the heart of the home where high ceilings & an abundance of light create a large sense of space throughout. Complimented with Tasmanian Oak flooring, neutral tones & the quality of finishes are features that will impress the most fastidious buyers. An open plan living & dining area is perfect for entertaining & looks onto rich garden & deck areas from every angle. The sleek entertainer's kitchen is equipped with a stone island bench, excellent storage with soft close cabinetry, ceramic cooktop, pyrolytic electric oven, microwave, dishwasher. Cedar timber doors open to a relaxed pool & garden setting, providing a seamless fusion between indoor-outdoor spaces, a secluded haven for social gatherings relaxing beside the pool under the timber gazebo where the landscaped gardens are a delight, with privacy assured. Master suite offers the same peaceful garden views, large robe & modern ensuite. The large second bathroom services two private guest bedrooms. 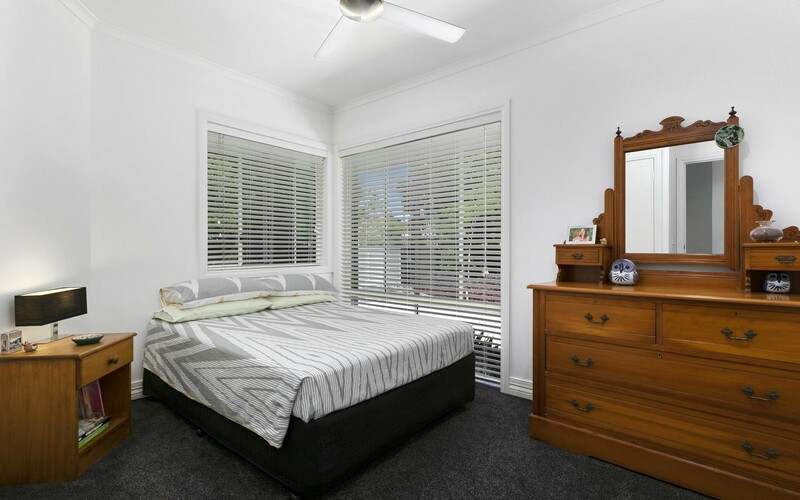 Reverse cycle air-con in the living areas provides extra comfort & carpets feature in the bedrooms & sitting area creating a wonderful ambiance & perfectly liveable space with a sense of style & luxury. The home has two offices, one of which features an external entry & could be transformed into a 4th bedroom or reading room. All within easy reach of the Noosa Village Shopping Centre, Noosa River walk, picnic areas, shops & restaurants on Gympie Tce. Noosa Hospital, good schools, the Leisure Centre & Noosa Library are all close at hand.